Description CARFAX One-Owner. Clean CARFAX. 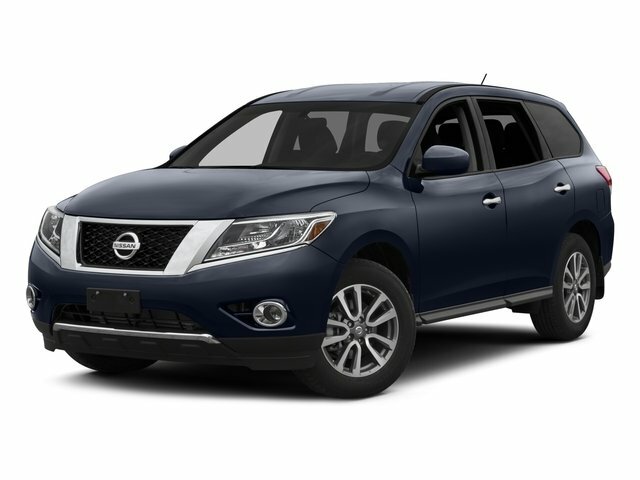 Mocha 2013 Nissan Pathfinder SL FWD CVT with Xtronic 3.5L V6 *Detailed*, Alloy Wheels, Backup Camera, Bluetooth, 3rd row seats: bench, 6 Speakers, Air Conditioning, Alloy wheels, AM/FM radio: SiriusXM, Automatic temperature control, CD player, Dual front impact airbags, Dual front side impact airbags, Electronic Stability Control, Front Bucket Seats, Front dual zone A/C, Front fog lights, Fully automatic headlights, Heated door mirrors, Heated Front & Rear Bucket Seats, Heated front seats, Heated rear seats, Leather Seating Surfaces, Leather Shift Knob, Leather steering wheel, Memory seat, Occupant sensing airbag, Overhead airbag, Power door mirrors, Power driver seat, Power Liftgate, Power passenger seat, Power steering, Power windows, Radio: AM/FM/RDS/MP3/1CD Audio System w/6-Speakers, Rear air conditioning, Rear window defroster, Rear window wiper, Reclining 3rd row seat, Remote keyless entry, Security system, Speed control, Spoiler, Steering wheel mounted audio controls, Traction control, Trip computer.